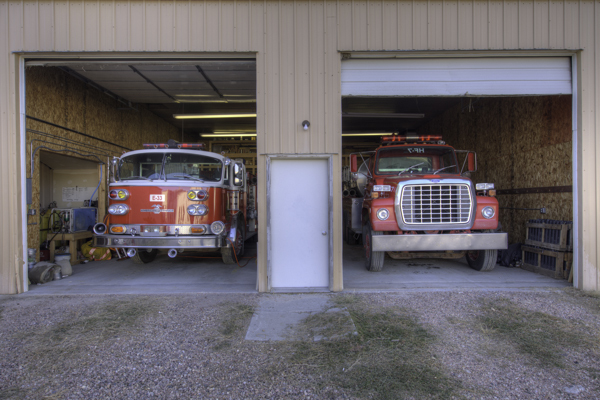 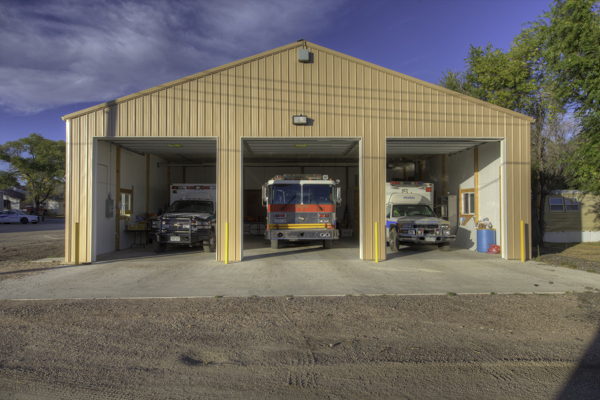 Fire Station is located at 227 5th St.
1979 Spartan / E-One / 1991 Refurbished 1000 gallon tank / 1500 gpm pump. 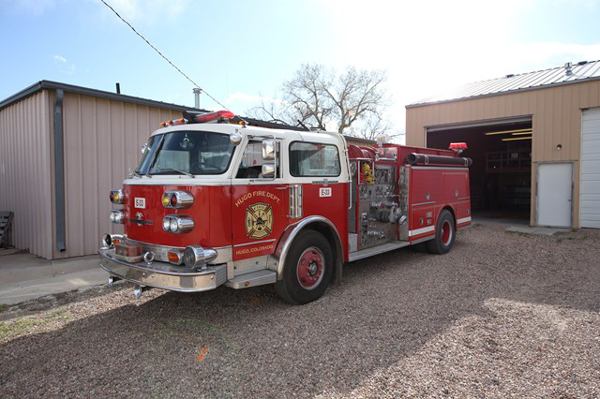 Donated from Clear Creek County Fire Authority, and was the former Engine 2, originally South West Adams County. 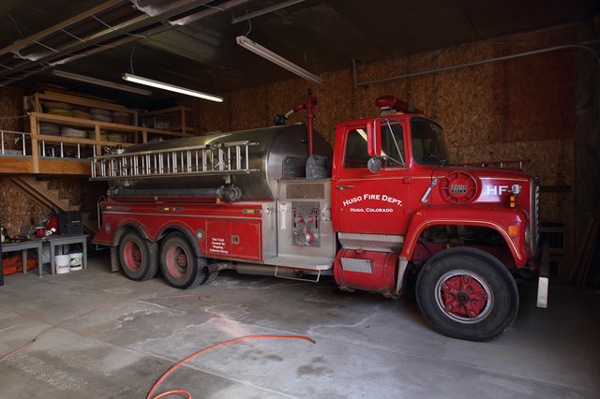 1982 American LaFrance 1000 water tank / 1500 gpm pump, donted from the Grand Valley Fire Protection District. 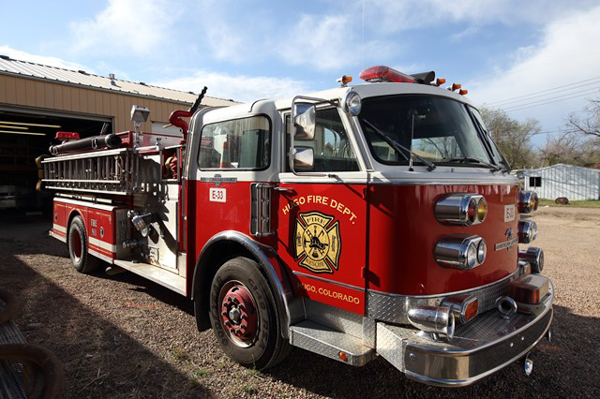 2000 Ford F-450 4×4 XL Super Duty, former Loveland Fire Rescue Authority Rural Brush 2, donated in 2019. 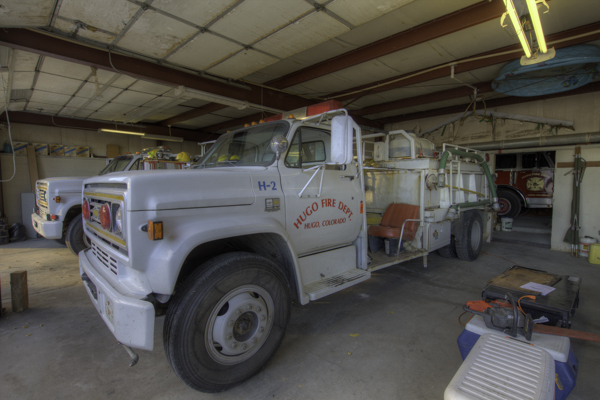 (H-2) Chevy C70 (Heavy Brush / Tender), pump & roll, twin to Fire 4. 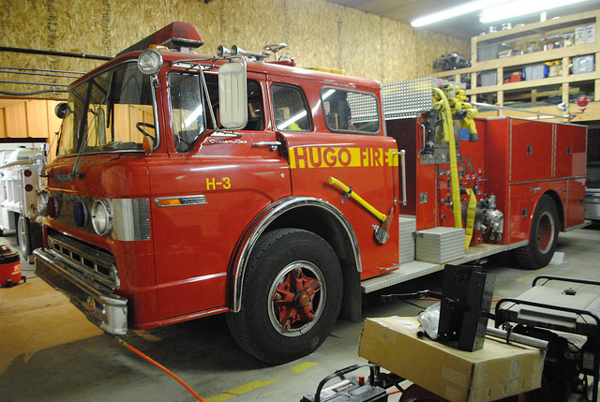 (H-4) Chevy C65 (Heavy Brush / Tender), pump & roll, twin to Fire 2, and nicknamed “Im Back”. 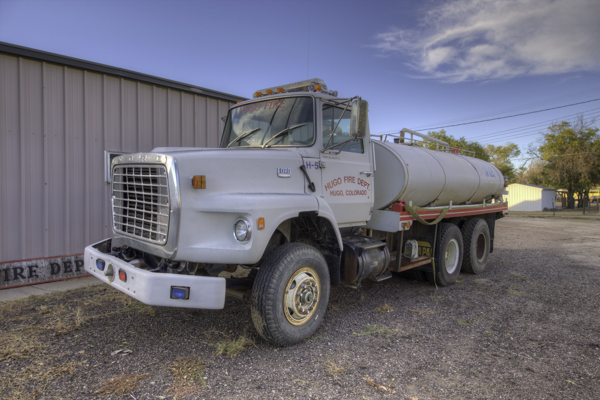 (H-5) Ford 900 3000 gallon water tank. 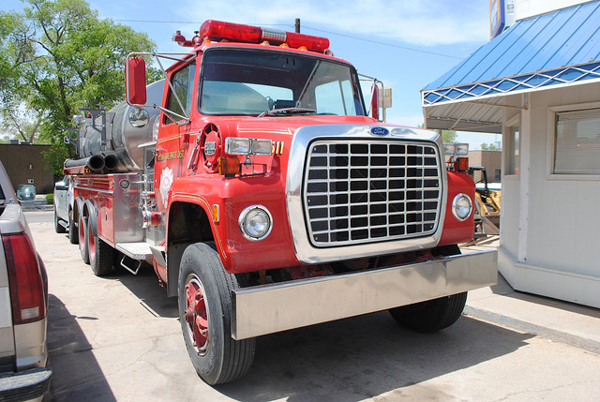 (H-7) 1980 Ford 9000 3000 gallon water tender / 1000 gpm pump. 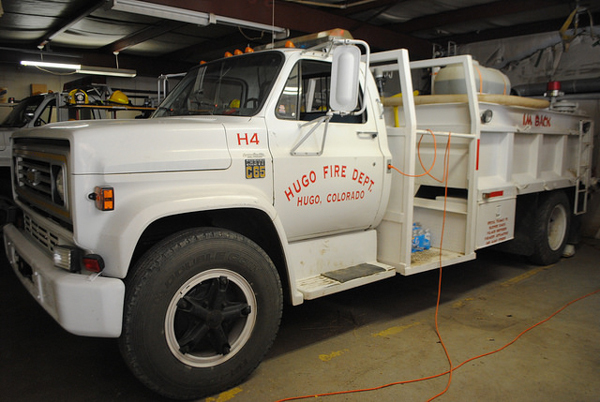 Purchased from Kiowa Fire Protection District with funds form the oil and gas companies drilling in the district. 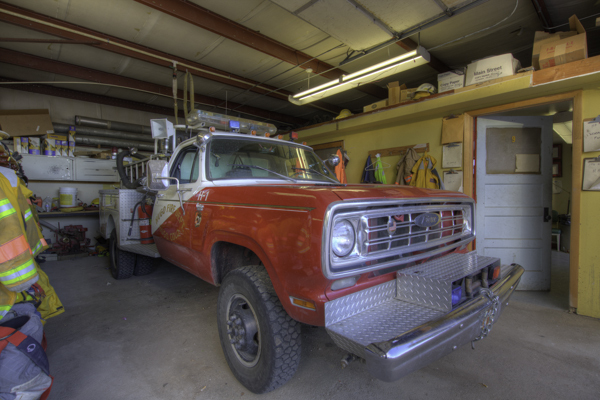 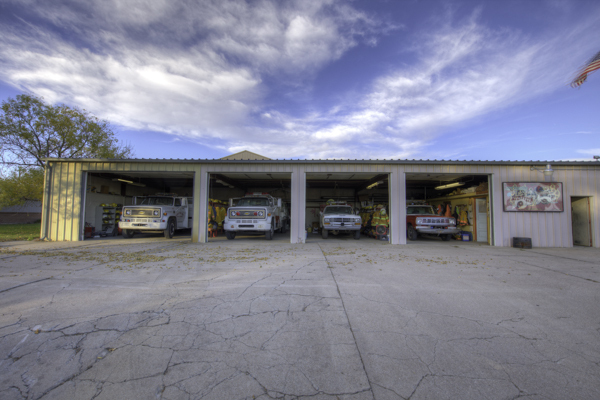 Fire Station shown here at the current location at 227 5th St.
(H-1) 1976 Dodge / Pierce 300 gpm pump.